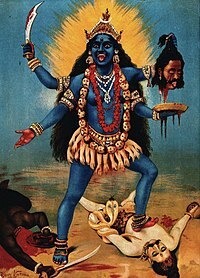 The Ancient Cosmic Mother speaks through her Yogini Tantra…Maha Kali, having been pacified and calmed by the supreme embrace of Shiva, was overcome with love and affection for humanity. With awe and respect, the greatest of the Siddhas and Rishis began to assemble at the feet of Shiva and Mother Kali. The celestials from Deva Loka gathered as well for darshan of the colossal tantric siddhas Agasthiyar, Nandi Devar, Thirumoolar, Machindranath, Sage Vashista and assembled Rishis, all of whom supplicated the Divine Mother to reveal the secrets of her great manifestations, personified in nature as the Goddesses of the sacred circle of sixty-four. With great compassion, She spoke to them. “O Great Ones, if I am known, what need is there for pilgrimage, austerities and even sadhana itself? If I am revealed, of what use is puja, tantra, kriya, yoga and the revealed texts? My mystery is grand and broad and expansive beyond the consciousness of humanity, yet I am ever accessible as the cosmic lover beyond the thinking mind and it is I who is the source of the Peace, Light, Love, and Power that are all the hallmarks of my essence. I am the polarities and the forces of creation, the Divine feminine in union with her Lord. Manifesting in both celestial and terrestrial planes, pretending to be limited as a human incarnation, I become intoxicated with all aspects of life, in order to know Shiva as my intimate lover in every sphere and dimension, with whom I always seek oneness and simultaneously, am in oneness. I take on human incarnation in order that all of his less conscious manifestations might discover their divinity though relationship with me. In doing so I provide an avenue for humanity to taste the nectar of immortality through my Kaula Tantra. Even given this, my true nature still remains secret. I live hidden in the bodies of human lovers and friends, promoting the elevation of consciousness for those who seek it through me. I assume the forms of the eight ancient Mothers, from whom I given birth to the greatest secrets of tantra. I pulsate within the spiritual heart of the ten great Mothers of Wisdom, and reside as the divine lunar expression of all of Lalita’s forms. I manifest as the Sharir Yoginis, who live within the bodies of all men and women. I am the Nitya Shaktis, representing every phase of the receding lunar light. Each and all are my own distinct eternities. My Nityas uniquely manifest with the waning and waxing of the Moon. Like the moon itself, which is synchronistic as a planetary body, some of my forms appear light and some dark, according to the cycles of time and divisions of cosmic law. Each addresses the changes in gunas and variants of bhava required by humanity. As my primary form of Kali, the great black limbed one, my darkness is feared by the masses; but never by those who seek to expunge the ego and achieve the highest realms of light. They do not fear that darkness, that is temporary surface apparel in my dance of changing form and time. For those who seek to realize divinity within the darkness, I am indeed the solitary key. For those with a pure heart, fully surrendered to Divine will, do not fear the death of the ego, as it is long since perished. As devotees approach me closer, they find in me increasing light, even in my dark forms, and like a mirror, I reflect their own inner experience. Each of my sixty-four eternities are attendants to my full being. Each of my sixty-four forms has the power to manifest from the body of the other Yoginis. Thus, as a group, we are one and each with the power of regeneration. As Maha Kaliani, I am both each of them, and all of them, even though each of them is a Self contained eternity. As the sixty-four eternities, I reside in the very body and being of both the bhakta and jnani. Look for me, not outside thyself, in the multiplicity of vedantic duality and illusion, Divine One, I have always resided within. Accept my Grace and assistance from within thy very own self and then discover, as the Siddhantis did, that I manifest true in all creation. Vedanta and Siddhanta, both are correct in their sphere, for the flower does not compare one of its petals with another. When the celestials sought to slay the demon, Raktabija, every drop of his blood that touched the ground, transformed itself into yet another demon. As the demon was struck, the assembled Devatas would find the entire battlefield covered with millions of his demon clones. There I fought as Kali Durga to destroy him and his hoard? My eyes were red with anger and gestures fearsome, as I engaged in the eternal sport-fight that exists in the realms of change and time. Yet I was ever conscious of Self. Pitted against that consciousness, all demons perished. And like that great battle, I am ever present with your to dissolve the illusions that separate you from Me, My Divine Child. Destruction of the ego barriers is my dominant work, as it prevents my devotees from merging with Cosmic Soul. For I am the one who gives Siddhi. None other. On the battleground, even the great Raktabija found death through the power of my Siddhi. I absorbed every drop of his life blood. Thus, he could not reproduce himself. I became drunk with ecstasy. I crossed the cosmos, destroying every evil and unconscious tendency that dared cross my path. In a state of divine glee, I adorned myself with the heads and limbs of egoistic souls. My beloved cosmic Shiva lay down beneath me to engage and calm me in order to bring the carnage to rest. My sixty-four primary forms and infinite other manifestations were all drawn to the cosmic masculine energy of his being and we were absorbed into the same blissful union from which we had emerged at the beginning of time. Yes, I am the great Maha Kali, who transcends time and who manifests in all of the sixty-four Yoginis. I am the essence of my great Chew Mantra, the energetic pinnacle of all mantras. I am the supreme synthesis of all divine sound. I am supreme among all goddesses in all times because my role is to protect the innocent, destroy evil, and above all, to raise all beings to a higher place of consciousness by eliminating the barriers which veil them to their own Divine Self. I am the great Mother of the Tantric Path, the great lover of Shiva in all my devotees. I am present to help all beings transcend the limitations of human consciousness by embracing and merging into me through any of my many forms. I come into the female who invites me and converts human lovers into celestial lovers. The female tantric adept who surrenders her ego to me will experience Shiva in her lover. The male tantric adept who surrenders his ego to me, will experience me as his lover. Surrender to me and I will empower you with charisma, grace and inner bliss. I will fill your senses with my divinity and provide your daily joys. Ultimately, a transformation of all the planes and aspects of the being into light energy ensues. There is absolutely no doubt about this. Thus spoke the cosmic mother. The text above is an excerpt from Kali Yogini Tantra, posted for your enjoyment. The full text has not yet been released. Swami Ayyappa Giri and Yogini Ashram can be reached on Facebook or email to yoginiashram@gmail.com.